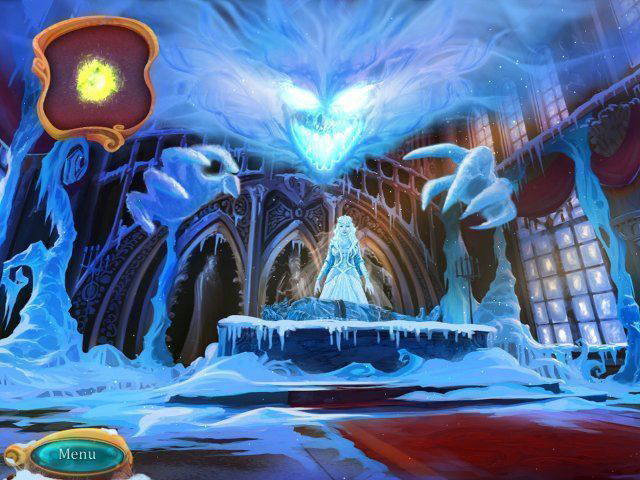 Dive into the fairy tale world frozen with cold! The Snow Fable was available as a giveaway on January 14, 2018! How would you improve The Snow Fable? A match three with several different modes of play. 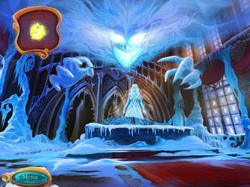 Most Match 3 games focused on the gameplay rather than the story, however, The Snow Fable focused equally on both aspects. You are taking on the role of a cute, young girl who finds her parents frozen in place along with the rest of the town – she then has to take a journey to break this curse accompanied by her magical friends. As said, the story in The Snow stays with you all the way through the game and it is very nice to follow, in fact, there are cut scenes shown every so often. The presentation in The Snow Fable is simply stunning. The hand-drawn art is gorgeous and supremely beautiful while the visual effects on the Match 3 boards are amazing as well. The background music is relaxing and not repetitive; moreover, we love the track played during the Main Menu very much. The Snow also includes pretty nice voice overs which is unusual for a Match 3 game. 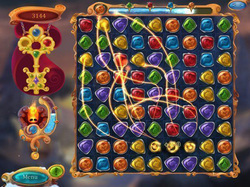 In Story mode, each level of Match 3 is different from another in terms of tasks to be completed and objectives of each level. 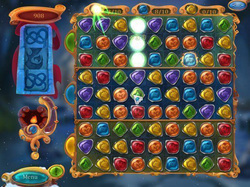 In most level, once a Match 3 board is completed – you will be rewarded an item to be used to continue your adventure. Apart from the Story mode, there are over six more modes you can choose to play including the wanted Relaxed mode – some are exciting and challenging while some are more relaxing. The Story mode consists of 40 levels which is relatively short compared to other games in the genre. Furthermore, expert Match 3 players will definitely find The Snow Fable to be fairly slow-paced and maybe a little bit too calm. Reference accessed HERE. Originally posted by All About Games on September 7th 2013. Reposted by Whiterabbit-uk 14thJanuary 2018. You can see Big Fish community reviews of The Snow Fable HERE and more information in the Big Fish forums HERE. There are several in-game videos of game play HERE, HERE and HERE. A pleasant match three game with several modes of play and pleasant game play. If you are an aficionado of Match Three games you’ll love this. If your new to them it’s a great introduction to the genre and if you’ve had enough of match three’s still try this one, you may be surprised. After you've had an opportunity to play today's giveaway please take a few moments to give some positive or negative feedback; for example, what you liked or disliked about the game, or how it could be improved. If you don't like the genre at all, please explain why and if any, what improvements would change your mind? If you don't have time to post a comment today, please do so at your convenience, thank you. If you wish to post a review or comment about the game at a later date, you can access the comments section by going to the game giveaways home page, then scroll to the bottom of the page where it says Archives and select the date the giveaway was live (giveaway days are in bold type). This will open up the appropriate page for you to post your comment or review. Alternatively, you can google the name of the game and include Gamegiveawayoftheday in the search. This should give you a list of links to whenever this game was given away. There are thousands of subscribers to the game giveaway of the day every weekend which makes this an ideal forum for giving developers new or fresh ideas as to what their consumers (i.e. you) would like to see in a game. For example, you could suggest extra content such as better or more original mini-games, or a level editor that you would like to see that would make it more appealing to you. Maybe you think the graphics are a little dated and need re-skinning, or maybe you've just had enough of the genre and want to see something different or something with more originality? Giving such feedback instead of saying nothing or just saying this game is rubbish or good may bring more developers to the site, which could mean more and better games. Would 'you' give away thousands of copies of a game (or extra content for a game) away to a community that complains all the time instead of giving useful feedback? It only needs a few moments of your time. I believe this site could be transformed into a hub for developers to visit and take away useful information on what you the consumer wants in their games; if only the community would be more forthcoming in their opinions of the games they are getting for free. If the giveaway doesn't grab you, then please move on to the next giveaway, or check out the forums HERE, HERE and HERE, where a few members of the community post details of various free games and free game sites as well as links to various indie bundle sites etc; you never know, you may find something that really interests you. If you're having problems installing or activating or getting The Snow Fable to work please visit the FAQ's Thread HERE and read through the communities comments because sometimes fixes have already been posted, for example, a common issue seen since the Themida wrapper was introduced three years ago is that some community members installation of the game are blocked by their security because Themida code has been known to hide malware, (usually an error message is flagged for example 'The executable is corrupted' even though in reality it is not); so as a precaution some anti malware programs will block and even delete the suspect installation files even though the files (i.e. the setup, read me and setup.gcd files are actually totally free from malware. This issue can be solved either by rebooting your computer in safe mode with networking or a quicker method is to temporarily turn off your security software to allow the installation. You could also try whitelisting the setup.gcd file. In the almost 11 years this game giveaway site has been operating there has 'never' been a game given away that was infected with malware. I'd like to take this opportunity to thank MyPlayCity for giving away The Snow Fable and also to the game giveaway team, as always, for securing other ways to get free games. If The Snow Fable doesn't interest you, but you still hanker for something new to play, you'll find details of some game deals whether they be sale items, indie bundles or games being given away for free HERE (I've not updated the thread in a while, but most of the links still take you to the latest deals). I really like this game. I find the challenges REALLY challenging. Last night, however, (1-20-18) the game started crashing at the end of every level.. just shutting down. The game downloaded fairly quick and opened easily! Game play is smooth. I did switch to system cursor, because of too much play with the games' custom one. I think this was a previous giveaway, but don't remember the match as much. The graphics are good. Would like a little more punch to them or the story, but still good. The matching is easy, but I am on early levels yet. 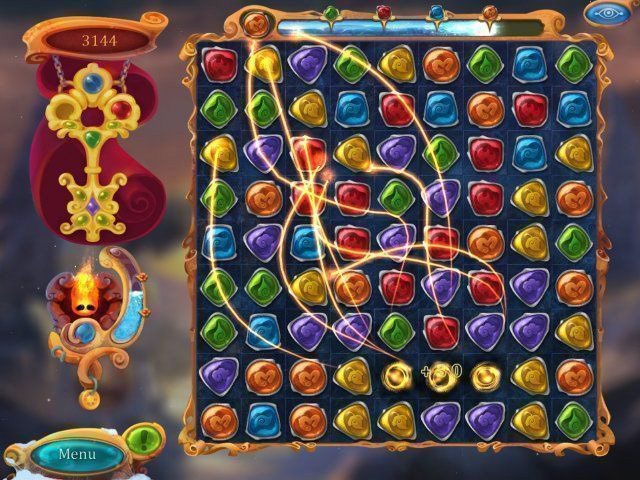 Its a fun game and enjoy both the adventure and matching together! I've been playing this pretty game for a few years now; it's a great addition to my collection of favorite Match 3's. It looks and sounds beautiful, and there's enough variety to stave off boredom. I'm a visual artist and easily become immersed in the colors and motion offered in this game. Most Match 3 fans should find something to enjoy in The Snow! What a pleasant surprise! This is a lovely game, which both looks and sounds beautiful. As you may remember, my computer usually gets on with whatever it's doing in silence, but the Snow music is sweet to the ear, especially at the beginning and the end. The artwork is very pretty - scenery and characters are nicely depicted, which to me is much friendlier and more interesting than the robots who keep turning up too often for me. Play itself is straightforward - there must be thousands of Match 3 games out there! - but there are extra tasks included, such as looking to match particular colours to clear the bar at the top. This is a game for anyone to play, I think - even the littlest are not going to be frightened by monsters, and so far it wouldn't be beyond the abilities of most. As ever I've only been through a few sections for now, but I'll definitely go back later! Download was quick and easy, so no problems there. Just a very nice addition to my Games folder, for which many thanks again to GGAOTD, to MyPlayCity and as always to Whiterabbit and his excellent review. Oh, and a P.S. to Nan Grif. I'm ancient too, and I rarely finish any kind of game! But I enjoy experimenting anyway - and I get an extra sense of achievement when I do finally complete something. I think The Snow Fable will be one that keeps drawing me back until I reach the end. Hope you have fun with it too! :) and thanks for the feedback. I've always liked this game. I like the graphics, story line, different games and the music. Only disappointing aspect for me is that I was never able to finish the game. Normally that means I didn't get gold on all levels but with this game you have a timer and it would run out on me on levels where the pieces freeze up. As a note, I'm probably much older than most here so I'm a slower player. Younguns will probably have no issues playing this. June 1956 for me. :) I still feel like a spring chicken (in my head at least) most of the time. Though I was pollarding some branches from one of our tree's yesterday. A Maple, that has grown too large and is shading out some gorgeous flower beds and bushes. Now I can hardly move. 1956? You're just a youngster . . . Thanks I appreciate it. My wife who is 13 years younger is always reminding me of my age. Auch im weiteren verlauf gibt es hübsch gezeichnete Bilder, und kleine Filmsequenzen, vor allem wenn man Kinder hat sollte man es sich nicht entgehen lassen, solltet ihr selbst das (große) Kind geblieben sein, dann erwartet euch ein wundervolles Märchen.